Corporate Furniture Sydney, Australia: In todays demanding working environment, maintaining Corporate Wellness in key to success. Corporate Furniture Products such as the WeWatt bikes convert human movement into useable electricity with your country’s plug point output, this can be used to charge laptops, phones or any device of your choice. 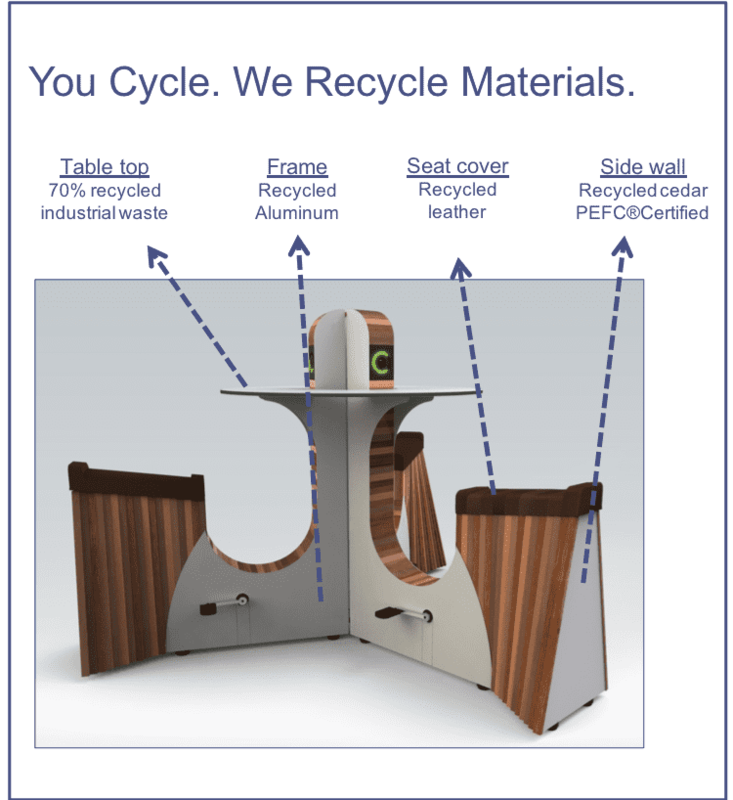 WeWatt bikes can be likened to energy producing furniture. They are handmade on demand production in the sheltered workplace Westlandia focusing on social inclusion of people with disabilities. WeWatt bikes are made from mostly recycled materials with a goal to minimise environmental impact every way possible, locally in Sydney. Kinetic flooring systems and plugins for events, exhibitions and public spaces. 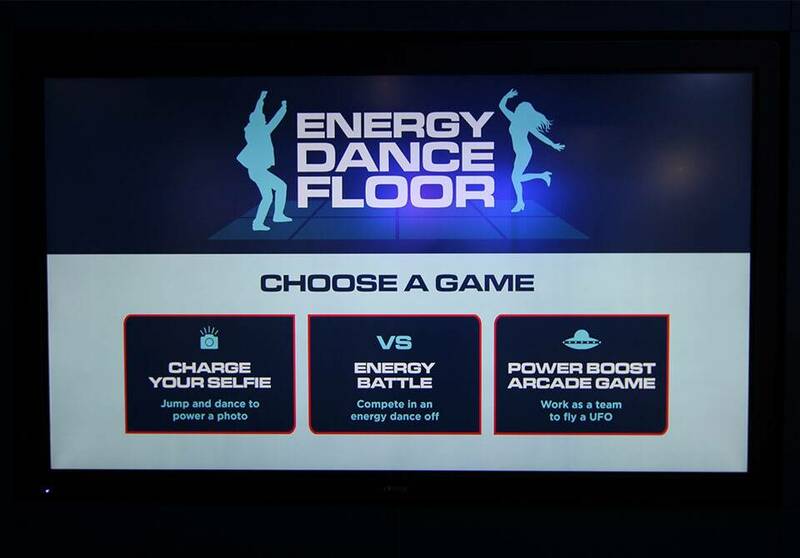 Providing brand and activation experiences in a fun and interactive way – converting human movement (aka dancing) into electrical energy or power. The floor tiles are largely produced using recycled materials and seen throughout the life cycle a floor is energy neutral. The technology we use to convert kinetic energy into usable electricity is electromechanical. It was developed in 2007 and the first and most efficient to be put on the market. Our partners of Delft and Eindhoven University of Technology investigated various options: piezo, thermoelectric conversion and hydraulic systems. An electromechanical system, which transforms small vertical movements into a rotating movement that drives a generator, turned out to be the best option. We create and integrate customer experience and brand activation software catered to your needs. 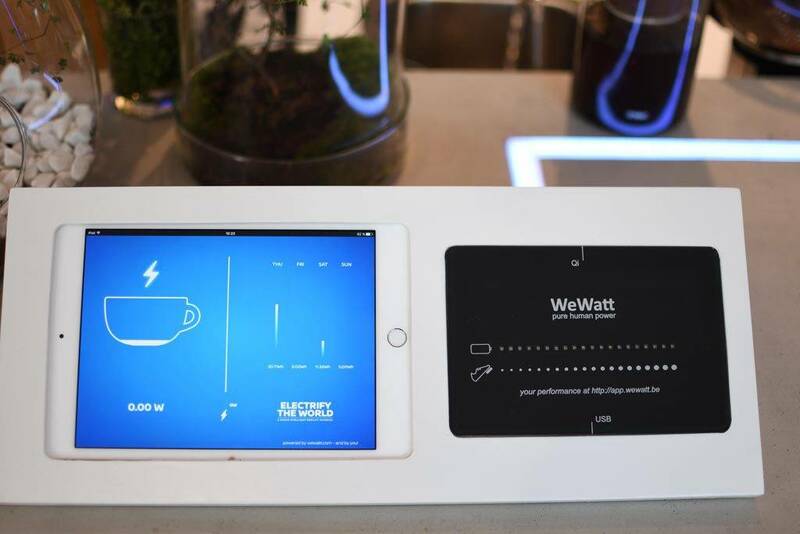 This can be integrated within both WeWatt and Energy Floor products.